Tired of seeing the same trackball on your BlackBerry device? 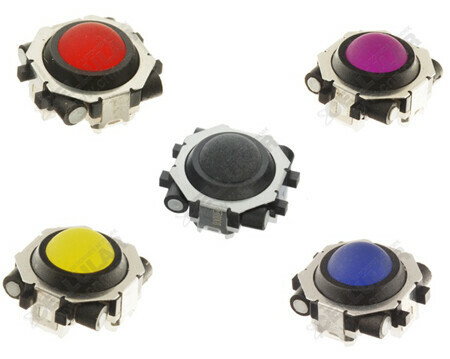 You can add some colorful spice to it with your choice of a colored trackball over at CNN.cn. You can snag your preferred color from red, blue, yellow, purple, or black for a mere $7.99 each. So stop being like everyone else and personalize your BlackBerry with one of these OEM trackballs. Although the colors are limited, there might be more choices available down the road. The site states to check out the video review for disassembly instructions, but they're nowhere to be found. Who says you can’t do it yourself and save some much needed cash? I would probably go with black, the clear one my pearl came with has gotten a bit dirty, frankly it's kind of disgusting. The black is an excellent choice. It looks like the trackball from the 8900. It's so lucky for me to find your blog! So shocking and great! Do you like the puma shoes? If you are a fan of puma ferrari shoes, now we have a good chance for you, our web has puma ferrari 2010, puma speed cat, puma future cat for every customer. The most important is that we provide puma 2010,puma ferrari shoes 2010, pumas ferraris, white ferrari shoes, blue ferrari shoes, white ferrari shoes with a discount price. The ferrari shoes, future cat, speed cat and puma shoes 2010 have the favorable price for you, other products puma voltaic, puma drift cat, puma ducati shoes, puma complete velosis, mens puma sprint, mens speed cat, mens puma shoes womens puma cat, is the same. for instance,you can get a free shipping and the most secure payment.